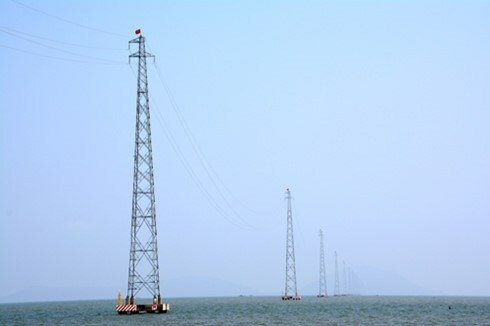 Hanoi (VNA) – Over 10.8 trillion VND (491 million USD) will be allocated to projects providing electricity from the national grid to rural areas and islands in 19 provinces and cities nationwide from 2016 to 2020. Vietnam Electricity Group (EVN) is the co-ordinator of the projects, and the investors are the Northern Power Corporation ( EVNNPC), the Central Power Corporation (EVNCPC) and the Southern Power Corporation (EVNSPC). Two projects will provide electricity to the Bach Long Vi offshore district in northern Hai Phong city from mixed sources such as wind, solar and diesel energies and other offshore districts in the southern province of Kien Giang. The projects would mainly focus on developing low and medium voltage electricity to ensure that all households in rural areas will be electrified by 2020. It will also provide electricity to mountainous areas, borderland security and coast guards, contributing to reducing poverty, enhancing people's intellectual standards and ensuring national security and defence.